You can now get four times (4X) the value of the recharge as bonus, which can be used to call all networks in Nigeria + 30 international destinations, send text messages and for browsing. Recall that few weeks back Glo introduced an x8 bonus offer for new and existing prepaid customers who recharge their lines via any of the Glo eTop-Up channels, but not all people like to recharge their line via eTop-up, so for those who preferred loading airtime via the physical recharge card, if you recharge N100 airtime or more on your Glo line, you can now get four times (4X) the value of your recharge as bonus! To enjoy the 4X bonus, you simply have to recharge your Glo lines by dialing *323*PIN# and you will receive the value of the recharged airtime + bonus. This offer is available on all Globacom prepaid tariff profiles, i.e available to all new and existing prepaid customers. The total value (recharge + bonus) is credited to your special 4X account, which you cannot use to purchase Voice, SMS, Data or VAS packages. You can only subscribe to, or purchase these packages if you have sufficient airtime credit in your main account. If you recharge with N100, you will get total of N400 i.e. N100 recharge value + N300 bonus airtime.If you recharge with N500, you will get total of N2,000 i.e. N500 recharge value + N1,500 bonus airtime.If you recharge with N1,000, you will get total of N4,000 i.e. 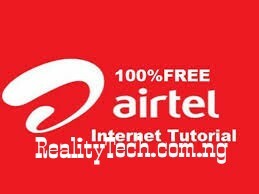 N1,000 recharge value + N3,000 bonus airtime. Recharges made using the normal USSD code i.e. *123*rechargePIN# will not get this x4 offer.You will be unable to browse with 4X if you have an active HSI subscription.4X value cannot be shared with or transferred to another Glo customer.